During the Florida rainy season, there are a few things drivers can always count on: slow-moving traffic, flooded streets, and cars driving with their hazard lights blinking away. The phenomenon of people driving with their hazard lights on during inclement weather has other drivers and the highway patrol scratching their heads. Why are they doing this? Most drivers who use them will say they’re trying to alert other drivers to their presence during a downpour and to prevent themselves from being rear-ended. Despite people’s best intentions, hazard lights actually make matters worse on the road, because other drivers cannot easily decipher what you are doing. Are you braking? Turning? Coming to a complete stop? That’s why the Sunshine State and many other states have made it illegal to drive with hazard lights on. Depending on your Florida county, fines can cost anywhere from $115 to $130. The one exception to the “no driving with hazards” rule? Riding in a funeral procession. Otherwise, hazards are never to be used when a vehicle is in motion. Florida Highway Patrol Sergeant Mark Wysocky’s concerns mirror that of the AAA. “[Drivers using hazard lights] may think they’re doing everybody a favor, but in reality, they’re creating confusion,” he says. 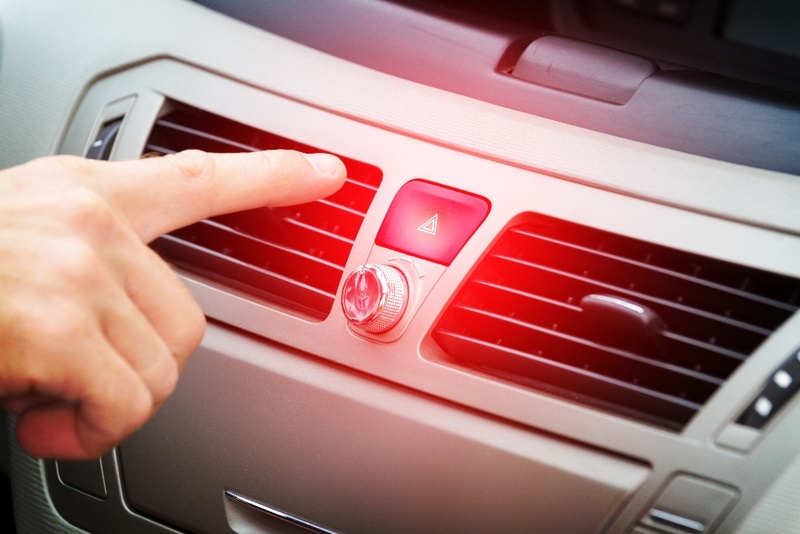 Wysocky points out that some of this confusion stems from the fact that many vehicles use the same bulbs for hazard lights as they do for turn signals and brake lights. “People may think you’re stopped in the roadway,” he adds. In addition, Camancho notes that a broken down vehicle with its hazard lights on may inadvertently get rammed in the backend by a driver who, accustomed to others driving with their hazard lights on, thinks the car is actually moving. So if you’re not supposed to use your hazard lights when the sky breaks open, what should drivers do? Ultimately, you’re at the mercy of your windshield wipers and your headlights (always be sure they’re on; people tend to reach for their hazards but often forget their headlights). However, resist the urge to switch to high beams in rainy or foggy conditions as those lights will reflect back at you and cause glare. If conditions are so bad that you simply can’t see, gradually maneuver off to the side of the road, using your turn signal, and get to a safe place (never stop in the middle of the road). Once your vehicle is on the side of the road and is at a complete stop, it is then proper to use your hazard lights to make others aware that you are in a stopped vehicle. Be Courteous and Be Safe! Many Floridians, used to our out-of-nowhere downpours, know better than to put on the hazard lights. But tourists not accustomed to these rains may feel panic and put them on, just as we may get a little nervous driving on ice when we head up north. So, Lowman Law Firm recommends that you always try to be considerate of other drivers. We’re in this together!